Take Note! is a super exciting line for Crayola. 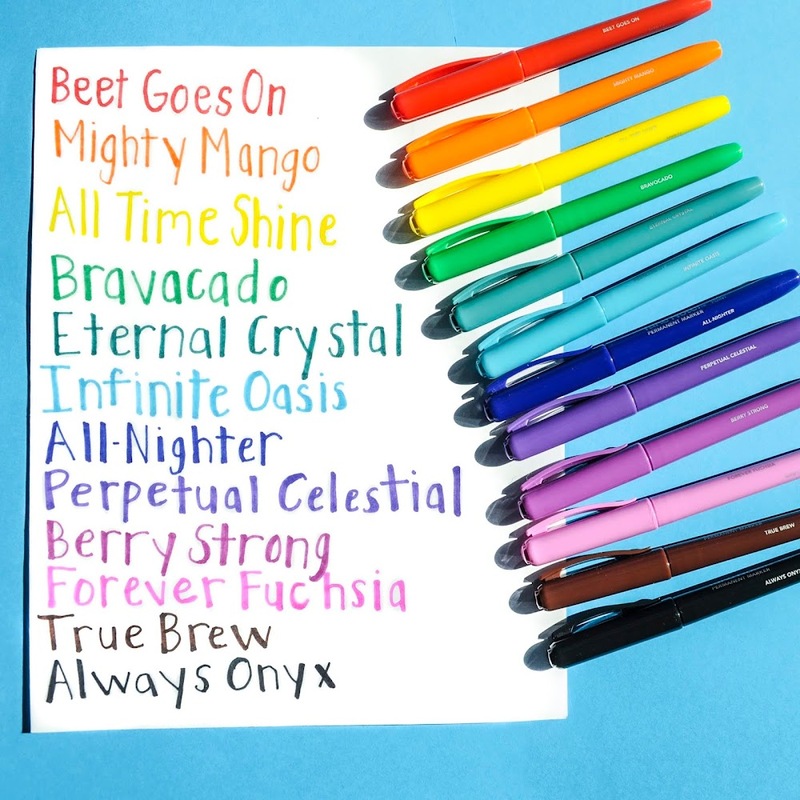 Crayola pioneered the crayon movement as we know it back in the early 1900's. They introduced crayons to the world, when chalk had been the medium of choice for school aged children. They refined crayons as we know it and helped the public learn what they actually were. Over the years they introduced markers, colored pencils and paint to the world. Now all of these are staples in every classroom. 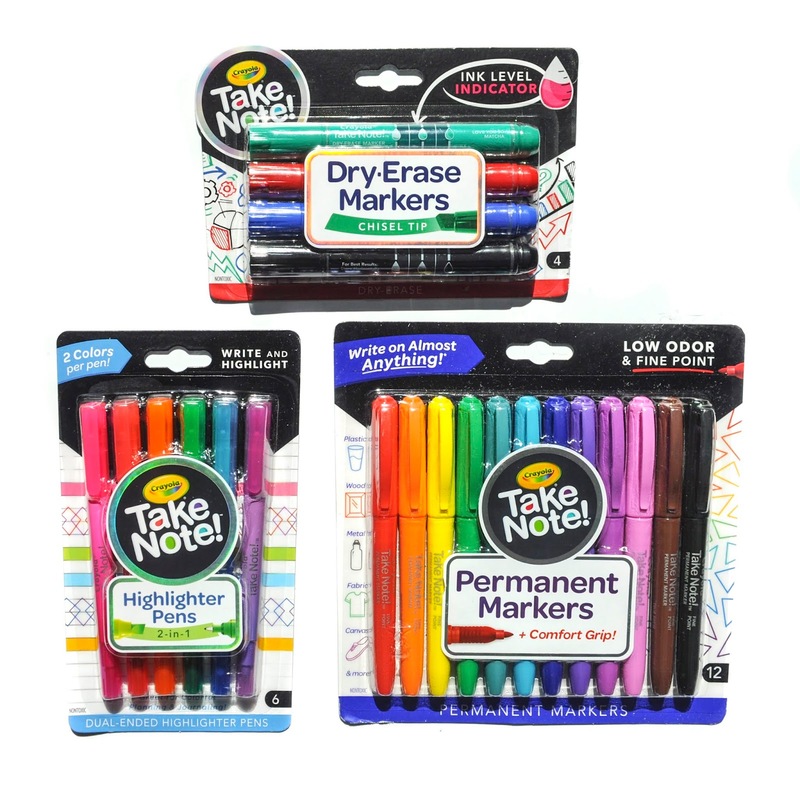 In 2018 they decided they wanted to include even more essential school supplies in their line up. 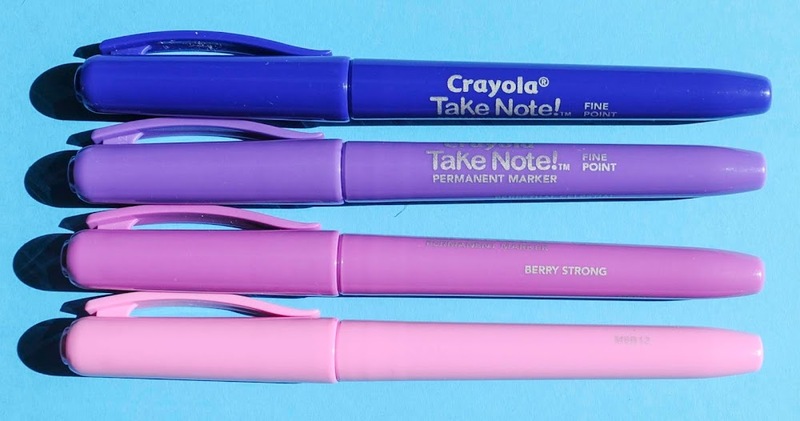 They introduced highlighters and gel pens. 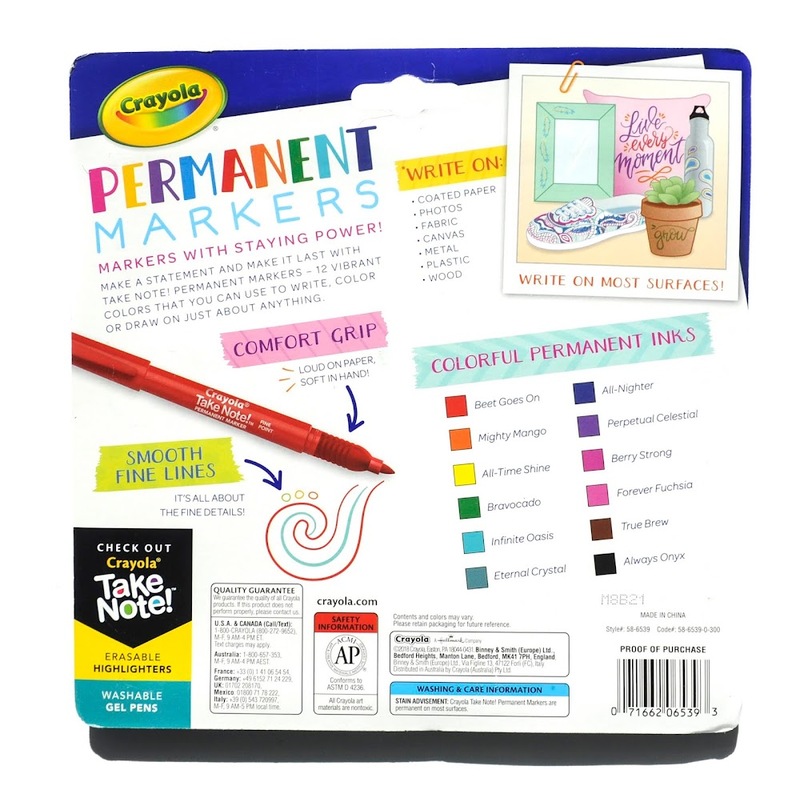 This year in 2019 Crayola is introducing Dry-Erase Markers, Highlighter Pens, Felt Tip Pens, and Permanent Markers. I was able to see them when I went to Toy Fair in NYC and here is a sample of some of the new products. What makes them special is the colors they provide, the colors are unique to Crayola and super bright. There are larger sets than this and I will show them later to you as I get them. 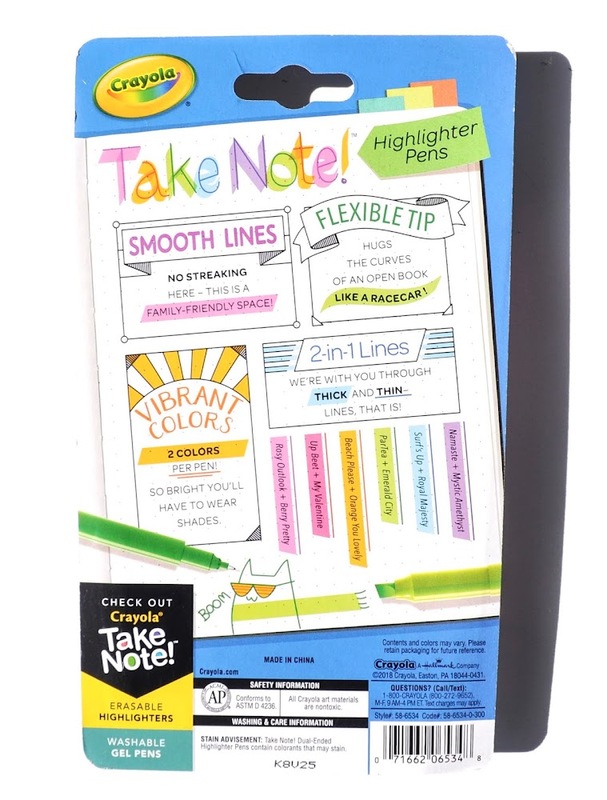 I am SUPER excited from this line from Crayola, mostly for their felt tip and permanent markers. One of the things I am most excited for is they named their colors! And they even put the names on the markers. 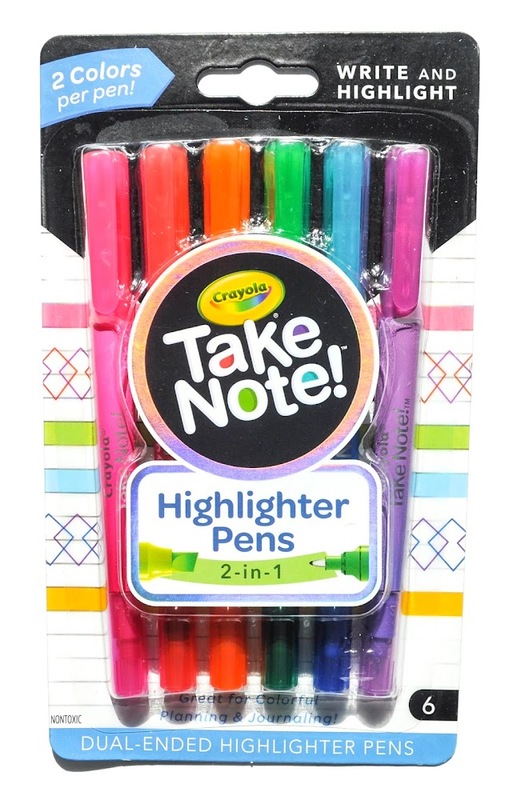 Except the highlighter pens, because there was two colors in one. I wish they had it is hard to tell which one is which on the back label. On a side note Crayola was excited about the fun names, but I do not know if they were really necessary. I think mostly older people will use these and for me I will probably end up calling the by green, pink etc. It is easier for my brain. But I am just glad they are named. 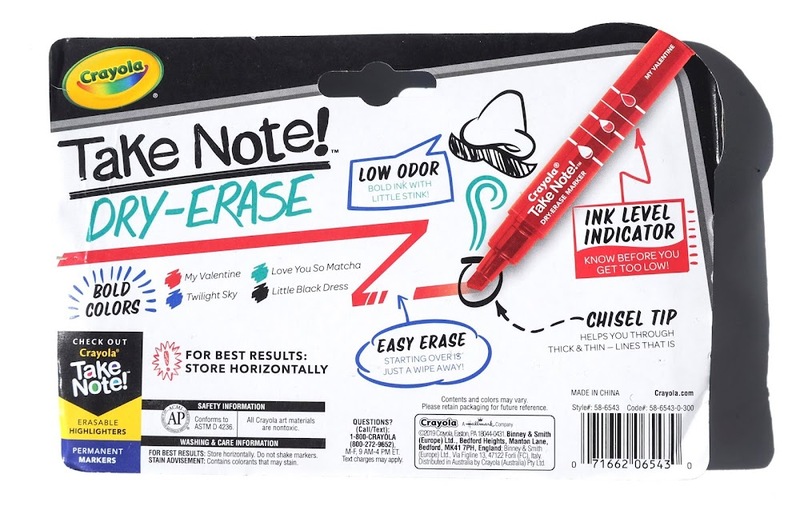 The Dry-Erase markers are really neat too. 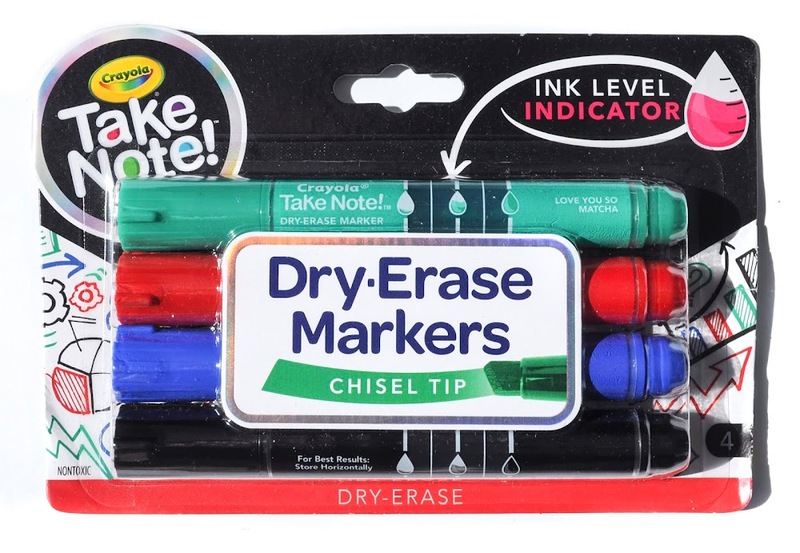 They have an ink level indicator and erase a lot better than the old dry-erase markers from Crayola. There are more colors than what is shown here, in a 12 count. I will show them to you later this year. 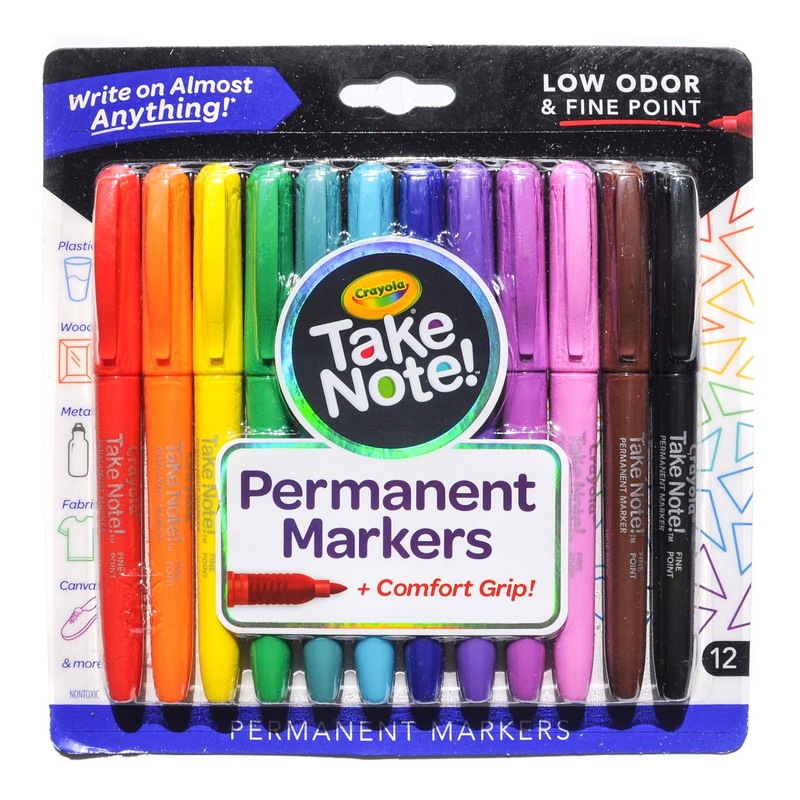 I love the color variety the permanent markers come in, they come in 12 and 24 markers. 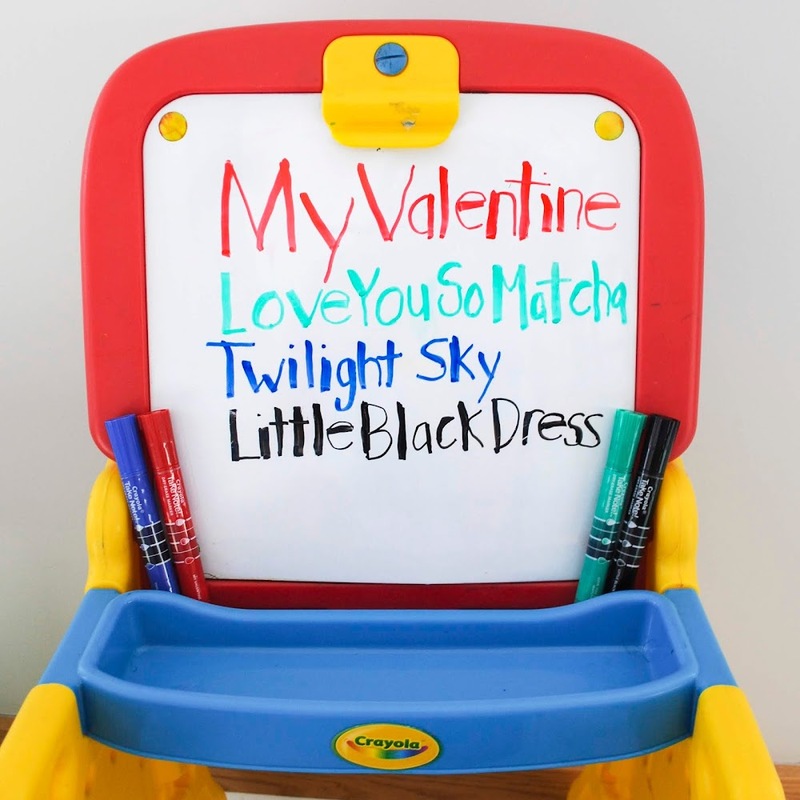 They can be used for coloring, marking, drawing on any surface etc. I did not try out the felt tip markers, but am excited to later this year. I did notice they do not come in as many colors. Hopefully that will change because one thing I know is teachers love felt tip pens and they love color variety. 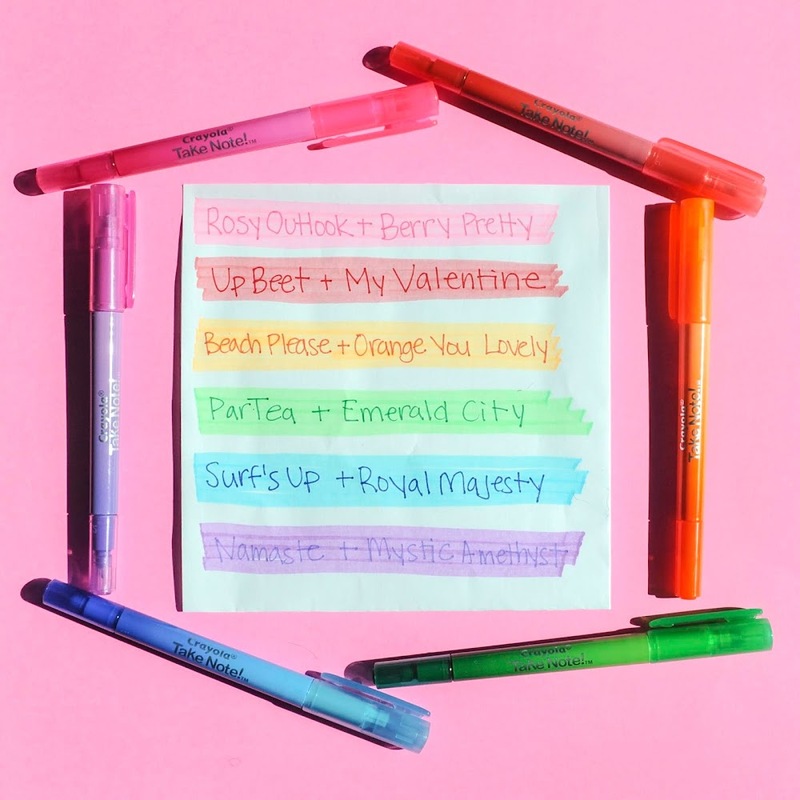 I am so excited for all these new products from Crayola and I hope they stick around forever. I still use my Take Note! Gel pens everyday. Here is what the whole permanent marker looks like. I love the design. Now we have to come up with a cleaver one syllable name for them. Noties?